Everyone is on Facebook, it’s the most visited site in the world, and is becoming more and more popular as a way for people to talk socially, listen to music, watch videos, play games, and do business. Often people make a Facebook page for their business and don’t know what to do with it. They try using Facebook Ads, discover that they didn’t make a profit, and then the page just sits there, not doing anything. There are many reasons for this, and many things you can do about it. 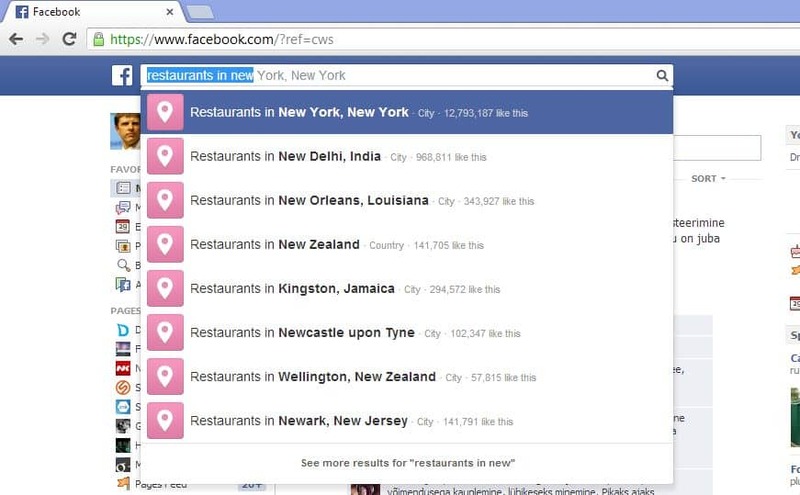 For a start, let’s look at how people would find your page in a search. 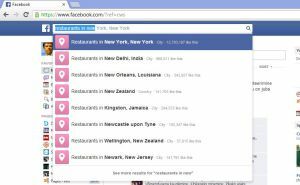 Facebook pages rank very easily on Google, as well as in a Facebook search, which people are starting to do more often these days. There isn’t much data on the monthly search volume for different phrases on Facebook, but you can assume that it is between one to ten percent of what the figures are on the Google keyword tool, depending on the type of phrase. If you do a Google search on the word God, you get the Twitter profile, and now the Facebook page as well, and I’m sure that pretty soon there will be a You Tube channel creeping up on the search, and probably a Google Plus page as well, if that site continues to take off. I use that as an example of how a social profile can rank for any search with huge competition, so long as the right signs are there. When you compare how easy it is to rank a Facebook page from scratch to a new domain using a site builder like WordPress, there is no competition, due to the huge authority of the largest site in the world. First, you need to do some keyword research to find a title that has a good exact match monthly search volume of at least a thousand a month. If you have a huge profit margin when you make a sale and you think you will have a good conversion rate, then you could maybe go after a less popular search if the competition is really high. Generally, I check the competition by looking at the page rank of the other results for that phrase using a plugin like SEO Quake or the one from SEO Book. 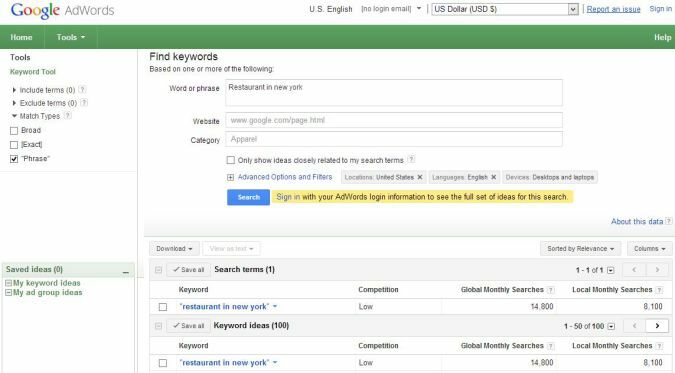 Another way to check the competition is by looking at the domain authority and page authority of the sites in the results. The page rank is out of 10, so PR 2 results and less are low competition, and the domain authority is out of a hundred, so twenty and lower is easy to beat, relatively speaking. Once you have chosen your title, you will want to get a username for the page, and you want to include your keywords in the username, probably the exact match to the title if available, like if the title is Get Free Traffic, then you want to get facebook.com/getfreetraffic or facebook.com/getfreetrafficnow. You will want to add a lot of content to your page, fill up all the sections thoroughly, make photo albums, add apps like Static HTML: iFrame Tabs, Just Redirect and Contact Form. You can put anything you want on a tab so you don’t even really need a site at all if all you’re doing is trying to get people to sign up to an email list, or pay for a product via Pay Pal. You can even have a mini-site with unlimited multiple pages using the Developers section, all without them ever leaving Facebook. A like is a do-follow, high page rank cross link within the site from a person’s public profile, and it signifies popularity. So, it is a very important factor in rankings. You can use Facebook Ads to get likes, perhaps by getting cheap likes from foreign countries, or you can use a social swapping site where people earn points to like each other’s pages. You don’t want to get fake likes unless the software is incredibly hard to detect, or all the likes just fall off, because Facebook is cracking down against the creation of fake accounts run by robots, or the likes they create. You need thousands of likes, and then you need other types of links, like you can make many other pages and like your main page while using Facebook as the second page, creating a permanent link from the timeline of that page to yours. You can also comment on other pages while using Facebook as your page, or comment as yourself, and use the @ symbol followed by your page title somewhere in the comment. After doing much internal linking, producing quality content and getting heaps of likes, the last thing to do is build back links to your page. It used to be that you could just link from anywhere, and that counts as a “vote” that boosts the page rank of your site. These days you have to be very careful and selective about where you link from. almost anyone who says they can sell you a link. Having said that, some of those things still do work, like a social bookmark from Digg or Linked In doesn’t hurt, and a legitimate relevant government or educational site link is great if you can get it but without knowing which ones work, you can get yourself into a lot of trouble very quickly. What does work is long, original, well written articles and guest posts on the highest authority sites, preferably relevant to your niche. Some article writing sites that still produce a positive result when you write something worthy on them are Ezine Articles, HubPages, Squidoo, Info Barrel, Yahoo Contributor Network, eHow, Guardian, Examiner, Go Articles, Knoji, prlog.org and only a few other ones that have some authority. On some of these, you will want to link out to authority source sites in the text, and make a page that looks good and reads well with photos, sub-headings, and perhaps a video. Arrange the articles in a link pyramid, without being too strict about the order so it looks natural. Vary the link text, so maybe use the exact match for the keyword you’re trying to rank for about half the time, then another quarter have similar keyword phrases, and for another quarter have the link text as random words, URLs, shortened URLs, and make sure you get some no-follow links to make for a natural-looking link profile. There is a whole lot more to SEO, and a whole lot more to say about how to promote your page on Facebook, on your site, on other social networks, and in the offline world, and how to engage your fans, but that’s it for this guest post, thanks for reading. About The Author: Rowan Casey is an internet marketing expert specializing in social media. Interesting… I’ll try your trick Bruce – I’ve struggled to convert from FB. Yes, rowan. You are right, increasing facebook fanpage traffic really helps in coversion. My personal trick is to create high graphics page and send request to as many friends as I can. Another good thing we can focus on is, posting. Images helps more then links. Next story Is the Success of Pinterest A Bubble?